TECAN TE-VACS-C SPE VACS-C AUTOMATED HIGH THROUGHPUT VACUUM . New Life Scientific, Inc. This VACUUM system is in great cosmetic condition, except for minor scuffs that are not noticeable. . It has been reviewed, and tested by our technical staff and found to be in great working order. 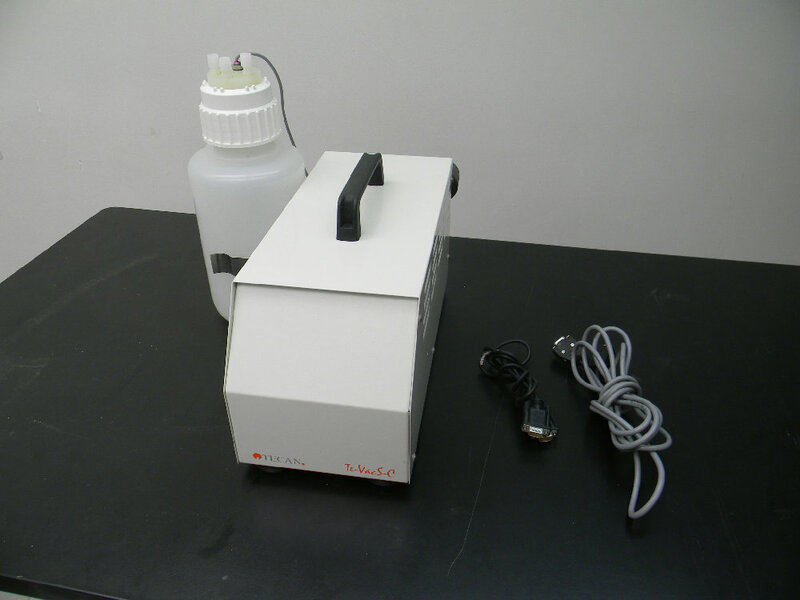 Te-VacS system is a versatile vacuum separation module for Tecan pipetting platforms. It is designed to fully automate cartridge-based filtration and/or solid phase extraction (SPE) processes. by eliminating cost-intensive hands-on time by lab personnel in the life science industry. The Te-VacS module provides two separate vacuum positions connected to a high performance vacuum pump. The module can easily be integrated into Freedom EVO® or Genesis-based workstations. No external power supply is necessary. Straightforward operating and control of the device is enabled by Tecans Pipetting Software Packages.